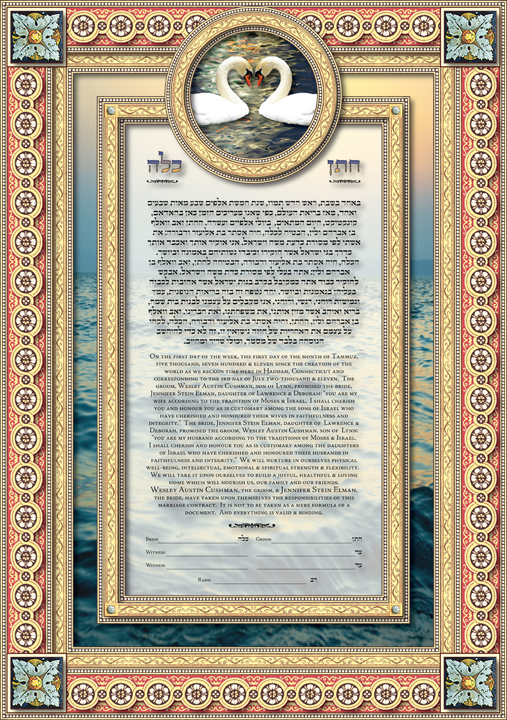 This ketubah was inspired by the idea that, like ripples on water, true love continues forever. 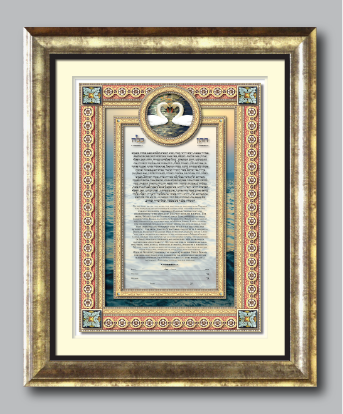 The frame of this design is layered with a beautiful and colorful ornate border. 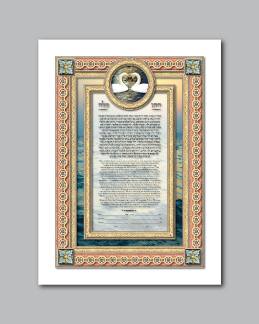 Medallions of flowers surround the inner golden frame that hold the text of this ketubah. The background image is an endless sea that seems to go on forever. 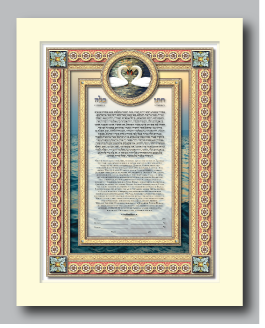 The window at the top of the design features two white swans. 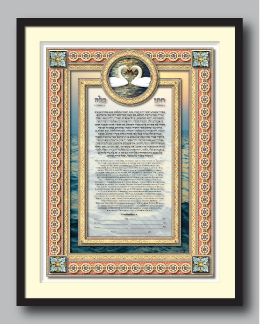 They have chosen to pair for life and face each other in commitment and partnership. They will sail the sea of love for all the days of their lives.